The newly discovered network triggers reactions even before the conscious brain has time to process them. Scientists have found for the first time that our brain’s ability to instantly link what we see with what we do is down to a dedicated information ‘highway’. Researchers from University College London and Cambridge University found a specialised mechanism for spatial self-awareness that combines visual cues with body motion. Standard visual processing is prone to distractions, as it requires us to pay attention to objects of interest and filter out others. The new study found that our brains have separate’hard-wired’ systems to visually track our own bodies, even if we are not paying attention to them. 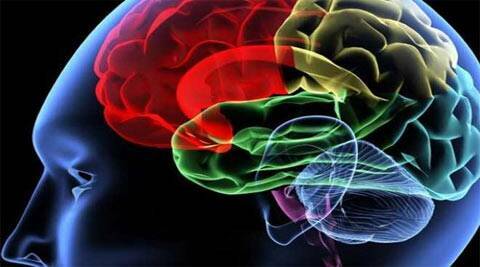 In fact, the newly discovered network triggers reactions even before the conscious brain has time to process them. The researchers tested 52 healthy adults in a series of three experiments. In all experiments, participants used robotic arms to control cursors on two-dimensional displays,where cursor motion was directly linked to hand movement. Occasionally, the cursor or target on one side would jump left or right, requiring subjects to take corrective action. Each jump was ‘cued’ with a flash on one side, this was random so did not always correspond to the side about to change. People reacted faster to target jumps when their attention was drawn to the ‘correct’ side by the cue. However,reactions to cursor jumps were fast regardless of cuing,suggesting that a separate mechanism independent of attention is responsible for tracking our own movements. Neuroscience, lead author of the study. “This provides strong evidence for a dedicated neural pathway linking motor control to visual information,independently of the standard visual systems that are dependent on attention,” Reichenbach said. effect on the visual perception system. In the third experiment, participants had to guide one cursor to its target in the presence of up to four dummy targets and cursors, ‘distractors’, alongside the real ones. In this experiment, responses to cursor jumps were less affected by distractors than responses to target jumps. “These results provide further evidence of a dedicated’visuomotor binding’ mechanism that is less prone to distractions than standard visual processing,” said Reichenbach. The newly discovered system could explain why some schizophrenia patients feel like their actions are controlled by someone else, researchers said.